As educators of young people, schools are presented with the challenge of preparing students for the future in which they’ll be living, learning, and leading. The Independent Day School (IDS) in Middlefield joyfully accepts its responsibility to prepare students to be intellectually ready and distinctively skilled to address challenges, solve problems, and invent new approaches. To do so, the school offers the IDS Centers of Excellence, which shape classroom and co-curricular activities to provide young people with engaging, relevant learning experiences that build their 21st century skills. The centers include environmental literacy, global citizenship and cultural studies, design thinking and entrepreneurship, and creative arts. Stewardship of the Earth’s resources is one of the most important issues of our time. Children who learn to appreciate the natural world, develop analytical skills, and build awareness of society’s impact on the environment will become the scientists, entrepreneurs, and activists of the future. The 33-acre IDS campus embodies natural trails, plant and animal life, an outdoor classroom, and so much more. It provides the perfect setting to explore, study, appreciate, and care for the world while learning about local environmental concerns and natural resources. One example of an activity in this center is the implementation of the “4R’s”: reduce, reuse, recycle, and repurpose, to become a green school. Young people who recognize that they can be active participants in a global world learn to work collaboratively with individuals from diverse cultures, viewpoints, and varied life experiences in a spirit of cooperation and appreciation. Opportunities for empathy, compassion, and respect for differences are woven into the fabric of the Global Citizenship and Cultural Studies programs where students develop knowledge and skills to be effective multi-cultural citizens and explore languages and cultures. Under the umbrella of Global Citizenship and Cultural Studies, IDS teachers make connections to grade-level peers in other countries through letter writing, information exchange, and technology-based face-to-face conversations. 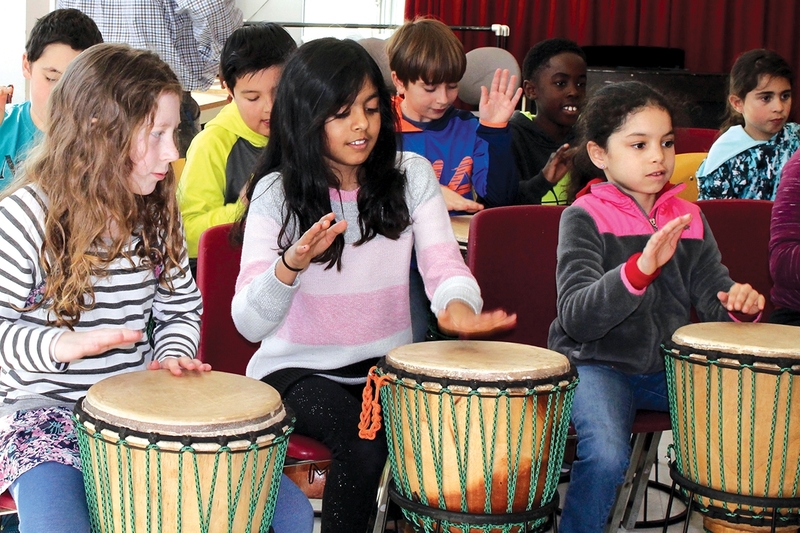 Cultural enrichment activities and clubs focus on multicultural learning and international issues and a language lab will provide students with resources to tackle foreign languages by connecting with students around the world. IDS Design Thinking and Entrepreneurship programs provide students with hands-on activities through which they can collaboratively explore, test, build, innovate, demonstrate, and take pride in their creativity. Students navigate the steps of design thinking, including critical thinking, observation, defining the problem, ideating, and prototyping and testing. The labs are safe, purposeful environments that support open and collaborative brainstorming, recording, blueprinting and 3D design, and project production within a social-emotional environment that promotes risk-taking, reflection, and perseverance. IDS Creative Arts programs provide children with challenging opportunities to express themselves in an encouraging, celebratory learning environment. Learning to explore and present one’s own ideas in visual art, music, movement, speech, and theater helps all students reach the ultimate goals of the creative arts: self-awareness, self-expression, and self-confidence. Visit independentdayschool.org to learn more or call 860-347-7235.